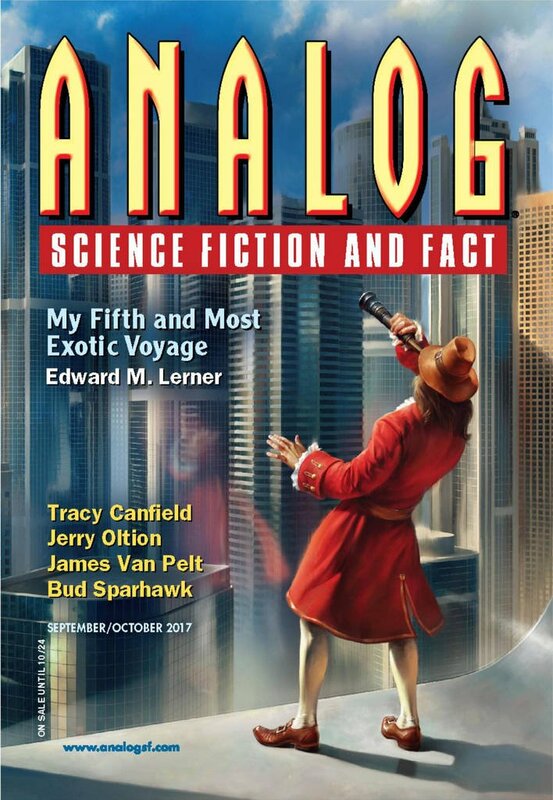 "Emergency Protocol," by Lettie Prell [bio] (edited by Trevor Quachri), appeared in Analog Science Fiction and Fact issue 09-10|17, published on August 17, 2017 by Penny Publications. Pro: In a very short space, the story tells us what an awful world these androids live in. Con: It doesn’t do anything else. There's no plot and no characters.